Meredith Minkler, professor of health and social behavior at the UC Berkeley School of Public Health, has been awarded the 2013 Tisch Research Prize for her work with Community-Based Participatory Research (CBPR). The award comes from the Jonathan M. Tisch College of Citizenship and Public Service at Tufts University. “Dr. Minkler exemplifies the best in engaging community in research and has been one of the pioneers who helped launch an important approach to doing research with communities,” said Doug Brugge, professor of public health and community medicine at Tufts University School of Medicine. 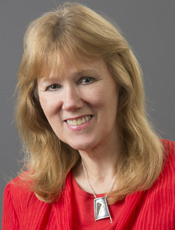 The research prize is awarded annually in recognition of a “career of academic research on issues related to active citizenship.” Minkler’s work includes studying ethnic health disparities of midlife and older Americans as well as empowerment strategies to promote positive health outcomes in youth. Recently, she has studied occupational health and safety of Chinatown restaurant workers. Minkler says using CBPR allowed this community to be involved in every stage of the research process. Community members helped researchers come up with more relevant research questions, better data measurements, and helped researchers interpret their findings. Ultimately, her work with Chinatown restaurant workers resulted in new policy legislation in San Francisco. The Tisch Research Prize includes a $5,000 award that Minkler plans to use to hire a student assistant for a new project in San Francisco’s Tenderloin District helping to evaluate a CBPR approach to a new healthy retail initiative. The new citywide program offers resources to small liquor and convenience stores that will offer more healthy foods and less shelf space for alcohol and tobacco products. Past winners of the Tisch prize include the late Nobel Laureate Elinor Ostrom (Indiana University) and MacArthur Fellow John Gaventa (Coady Institute). Minkler will give a public lecture and host an interactive discussion at Tufts Medical School on Thursday, November 7. More information about her lecture.